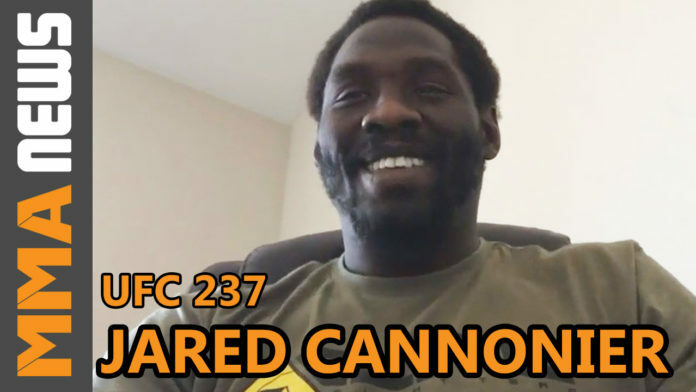 Jared Cannonier knew he’d get a big name opponent next. The 35-year-old’s middleweight debut in the UFC couldn’t have gone better. Being close to a 3-1 underdog ahead of his matchup against David Branch at UFC 230, Cannonier knocked out the two-division WSOF champion in the second round. The UFC took notice as well, matching up the MMA Lab standout with former middleweight champion Anderson Silva at UFC 237 on May 11.
believes he can finish “The Spider” in a multitude of different ways. put the rest of the division on notice.